At Buckfire & Buckfire, P.C., we work hard to ensure that each client who suffers a slip and fall accident is satisfied with the legal representation we provide them. 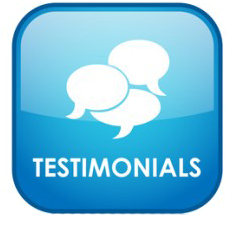 Below you will find testimonials from actual clients that we have helped win large settlements. Find out why Buckfire & Buckfire, P.C. is the most trusted personal injury law firm in Michigan! If you or a loved one has suffered a an accident, please give us a call at (800) 606-1717 to speak with one of our expert slip and fall attorneys. We will answer your questions, and determine if you have a claim. The phone call is always free, so there is nothing to lose! Buckfire & Buckfire is an exceptional law firm. I was really impressed with the way they handled my personal injury case. I highly recommend this law firm to anyone who has been injured in a Michigan accident.